Once a bequeathed humble drink, today a high-quality typical product. This is the history of the Italian Grappa told in occasion of “Distillerie aperte” (i.e. 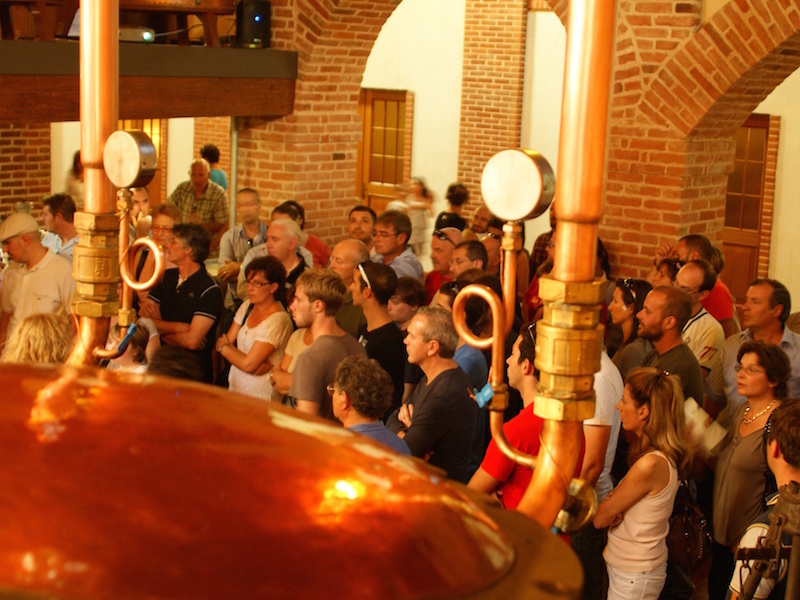 Open distilleries), an event organised by Made in Vicenza during which you can taste the local grappa. 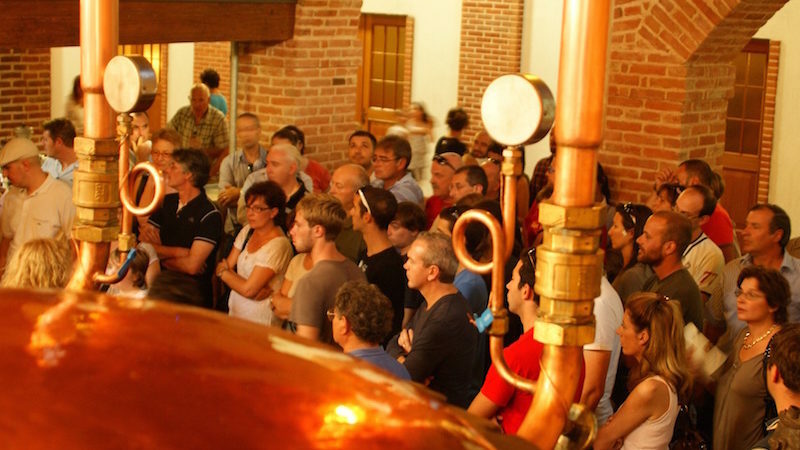 The 20th edition of “Distillerie Aperte” will be held on 2nd October. Until some years ago the grappa was connected to the Alpini – the Italian alpine trooper – or to the old pictures portraying old taverns and woodsmen. It was the fuel of people who were living in the mountains. Then the “miracle of the North-East” arrived. Between the 60s and 70s, and more significantly during the 80s, a region of farmers and emigrants experienced an extraordinary industrial development and everything changed even for the grappa. The humble drink came into the houses of the upper class, becoming a trendy drink in a short time. People liked grappa because it remembered an ancient world made of branches hanging on the chimney, typical glasses called ‘cuchéti‘, genuine products and in the same time it had a rough touch that distinguished it from the brandy and the cognac. Since then the rise of the Vicenza‘s grappa hasn’t stopped, backed by the dedication and the passion of the best artisans, who have continously invested improving quality, creating new combinations, learning how to adopt marketing theories and recently how to communicate on the social networks, but without betraying the spirit of a centuries-old tradition. The first documents that are talking about grappa date back to the 16th century, when laws and regulations regarding the Confraternity of the Acquavitari (i.e. the producers of the grappa) were enacted in Venice. In Vicenza’s area the first grappa was produced by the monastery of Monte Summano as “aqua de vita” (i.e. water of life) in the 15th century. The monks considered it quite a medicine just like other spirits. The grappa became an authentic protagonist of the local history around 1779, when a significant distillation activity became popular in the Bassano’s area. A hard period for the distilleries started under the Napoleonic dominion. In fact, in 1806 strict punishments were enacted against every kind of distillation. During the Austrian occupation it was restored the previous situation, but under the Kingdom of Italy those who produced grappa had to pay high taxes for the distillation and the sale, compelling Venetian and Friuli’s people to distill illegally. In the second half of 19th century both quality and production techniques were improved, brand new instruments for the distillation were adopted and the new bain-marie technique was tested, which was joined to the direct fire one. All of these innovations gave a great impulse to the grappa distillation activities, fostering the opening of many distilleries, some of which are still working. A first moment of national popularity for the grappa arrived during the I World War, when this spirit represented a solace in the cold days, a restorative during the Spanish fever and an upper before the attacks for the Italian troops at the front. The I World War made known the grappa to all Italian people, especially to those soldiers coming from central and southern Italy which didn’t never drink it before. This situation repeated during the II World War. The grappa was the faithful companion of the Italian alpine troopers sent to battle along the Russian front and then again during the long march back, helping the soldiers against the freezing. In the first postwar the distillation increased: many distilleries in the Vicenza’s area were opened, without counting the many taverns which distilled grappa at that time. In the second postwar artisanal producers were born, but the distilling taverns disappeared. As in the past, today the story of Vicenza’s grappa is still continuing. A story made of this tradition, but also of the ability of the distilleries to improve constantly their own production, achieving the highest excellence that makes the grappa a trendy product, appreciated by the most demanding palates and famous even abroad. In the last years the grappa has obtained even more space in the Italy’s kitchens like an ingredient able to enrich the gelato and the desserts with its unique flavour and aroma or simply as the ending of the meal. Made in Vicenza – a special company of the Vicenza’s Chamber of Commerce – organises every year “Distillerie Aperte” (i.e. open distilleries) together with a selected group of local grappa producers with the aim to make known the great tradition of grappa and the secrets of its production processes through visits and tastings. This year will be the 20th edition of the event and it will be held on Sunday 2nd October. You can taste the grappa produced by F.lli Brunello di Montegalda, Li.dia di Villaga, Poli di Schiavon and Schiavo di Costabissara from 10am to 6pm. All the visitors can take part to guided tours discovering how grappa and other spirits are produced diving into the world of the local producers. 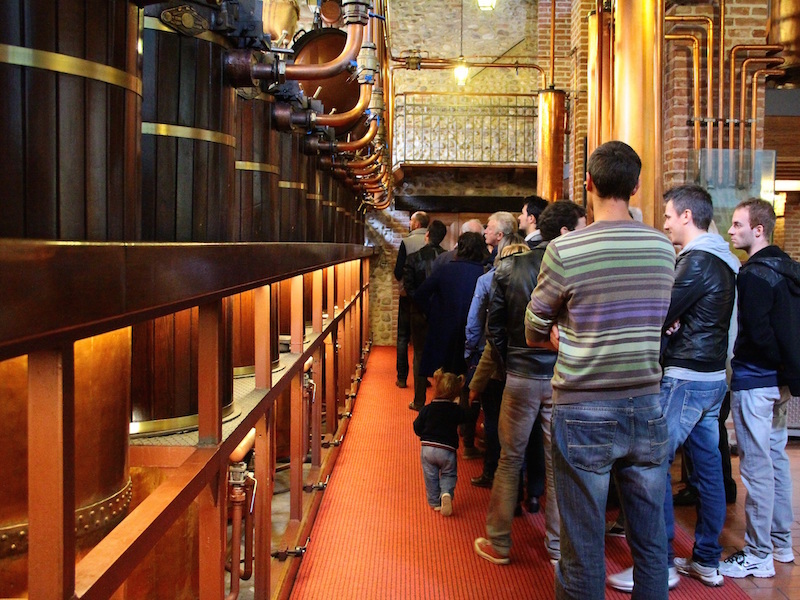 In this way visitors can listen to the stories, the curiosities and the secrets bequeathed from generation to another told by the maestri grappaioli among stills and little boilers. For further information you can write us an email.